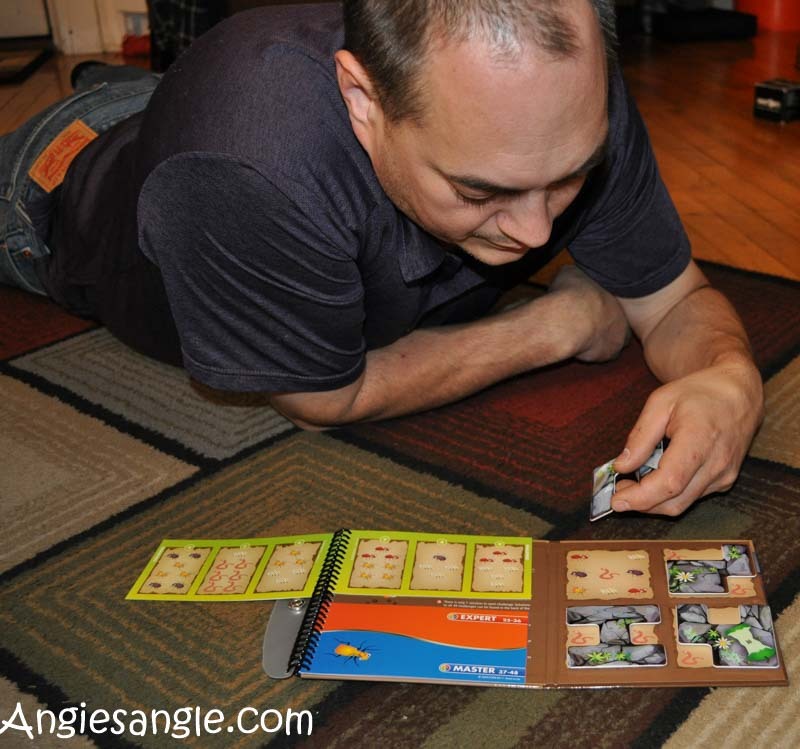 I received these games free from Tryazon to host a party with and provide my honest thoughts about SmartGames. Amazon Associate links used below, if you buy through Amazon with any of the links provided below, I’ll earn a kick-back for you doing so. 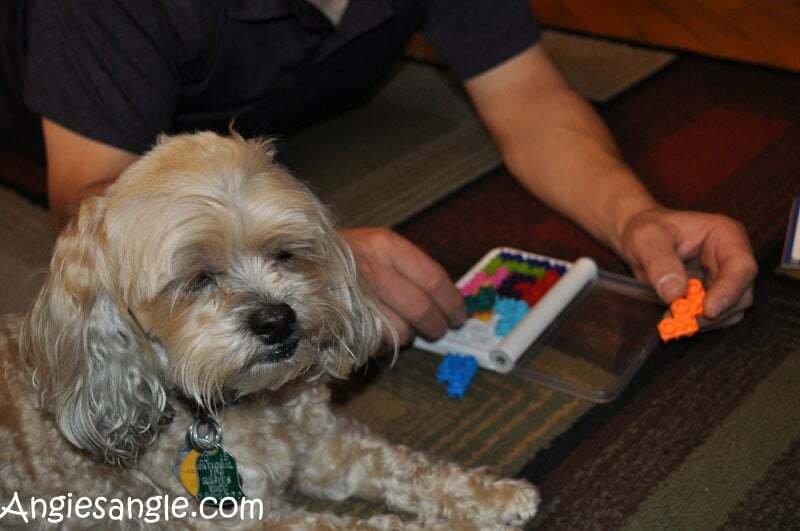 While I love hosting game nights, the people equation doesn’t always pan out for them. Which is why more and more I am looking for new and exciting two-player games to play. That way I don’t need a bunch of people to have a good game night, though it would be nice. 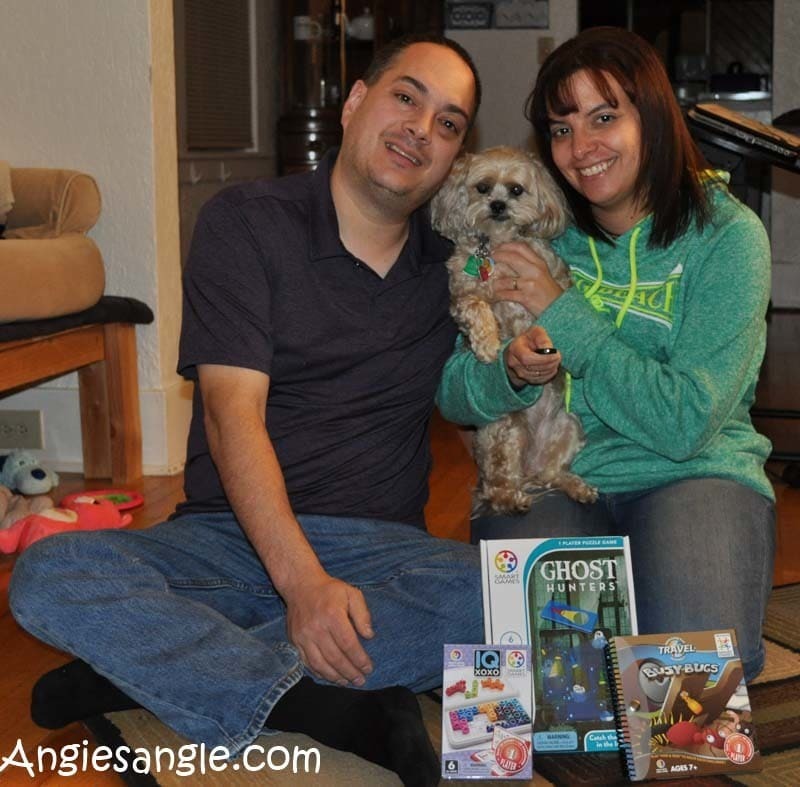 Getting picked to host a game with Tryazon is always an exciting thing for me, however, I had a feeling that this one wasn’t going to pan out. I had it planned for the day after Jason’s birthday, but the event just didn’t pull together. Too many other plans and lack of wanting. 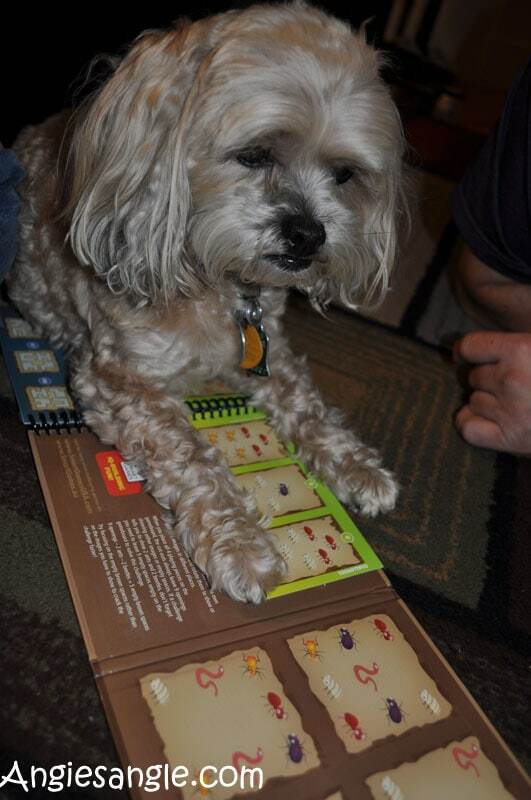 Instead, Jason and I did a game night with just the two of us. Well, three if you count Roxy cause she was right in there too. Now it’s time to get smart with SmartGames. I realize that I am posting this way after the fact. We had the party planned November 12th, played the games the 13th. 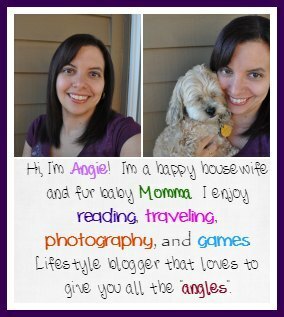 But, life has been somewhat bumpy the last month and I have not had the mind set to actually sit down and blog like I should. Am trying to get back to normal, but it’s taking awhile. 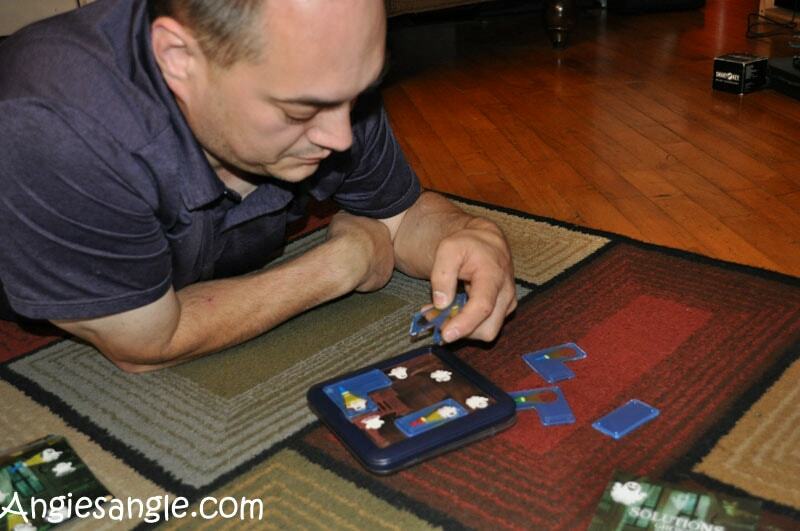 Games are something that Jason and I both enjoy. To us, it’s a nice way to relax and make some memories and quite often uses our brains. The games are all single player games but can be played head-to-head if you have two of the games to see who can solve it first. Or even just time it and see who solves it faster with the one. 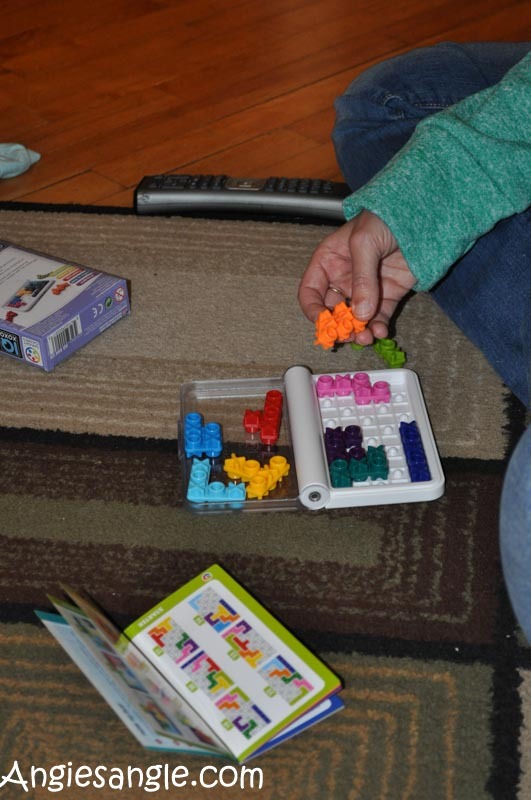 Included in the SmartGames Pack from Tryazon and SmartGames were the following. 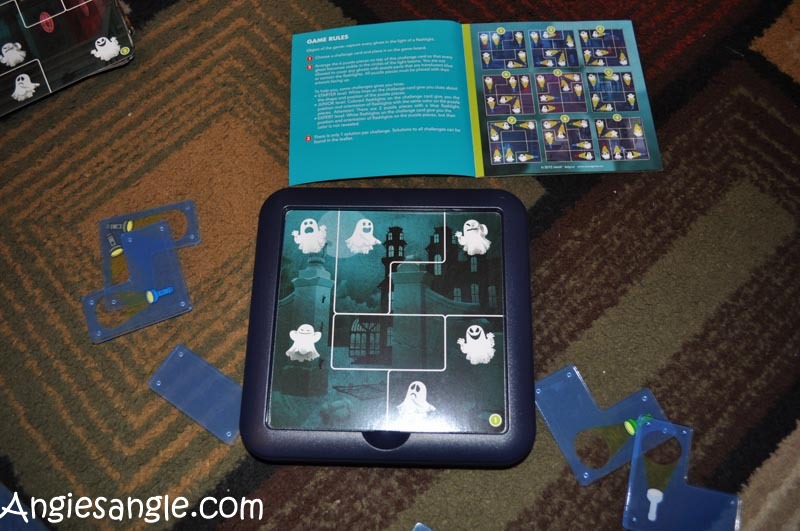 Ghost Hunters – solve each challenge by fitting all the puzzle pieces on the board so that the ghosts are exposed by the flashlight beams. Featuring 60 challenges. The challenges vary with skill level too. 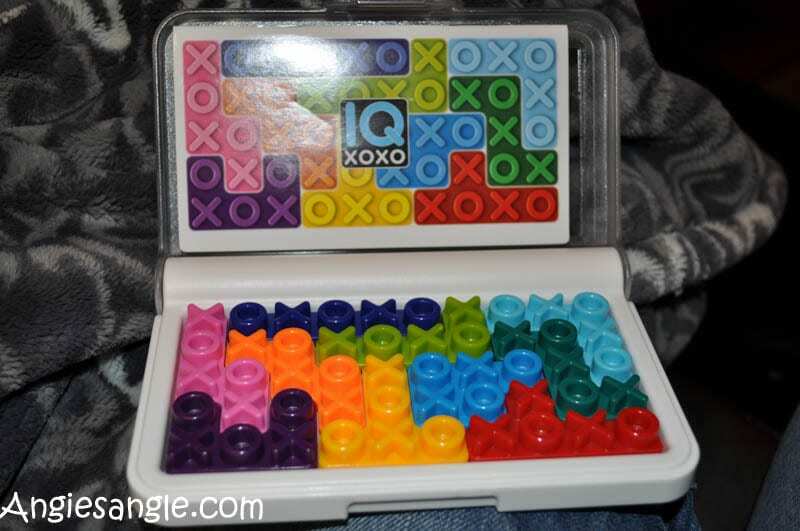 IQ XOXO – to solve each challenge players must fill the grid with 10 colorful double-sided pentomino pieces, leaving X’s and O’s in sequence. This one has 120 different challenges with varying skill levels once again. 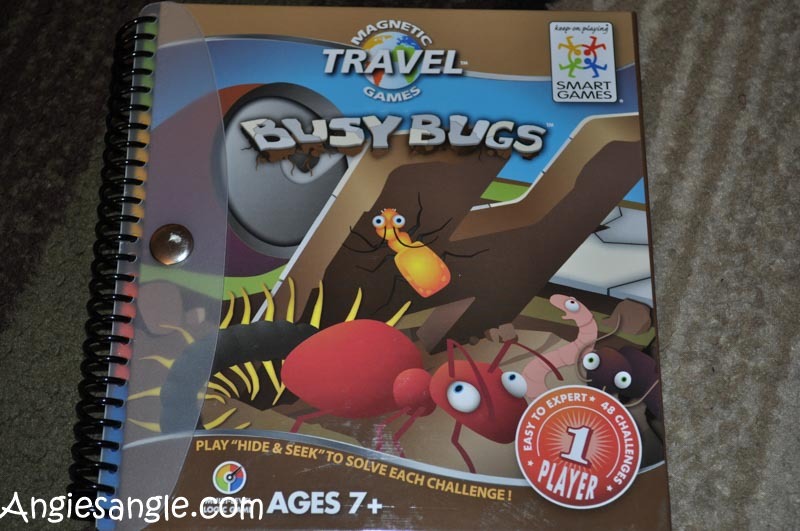 Busy Bugs – these challenges are where you arrange the four magnetic stones on the board until only the bugs designated in the included booklet remain uncovered. With varying levels of challenge. We enjoyed the games. All of them have their quirks that make them unique from the others. 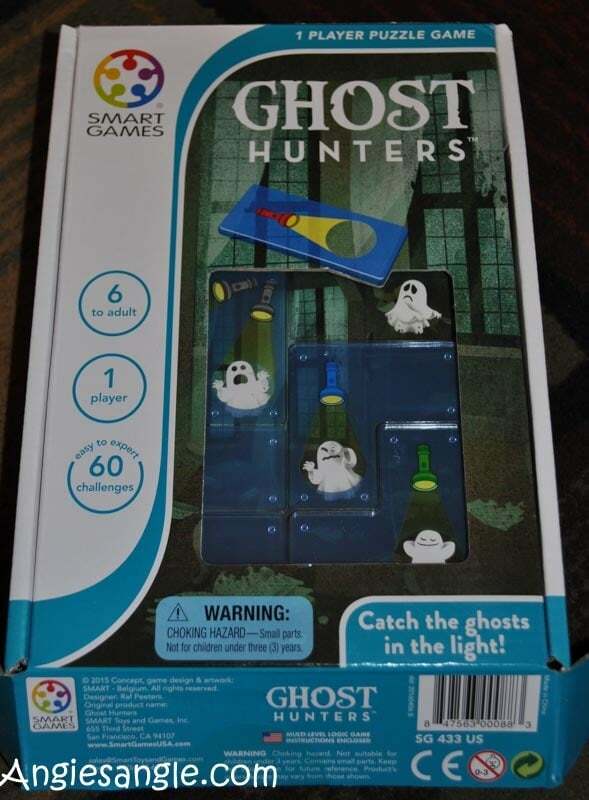 I think my personal favorite was the IQ XOXO while the easiest one for me was the Ghost Hunters. Take a gander at all the games SmartGames has at the SmartGames Amazon Store Front. You can also save 15% on all of them by using: TRYAZON1 at checkout. There will be a chance to win these games yourself in an upcoming giveaway, so keep your eyes peeled for that if you are interested! 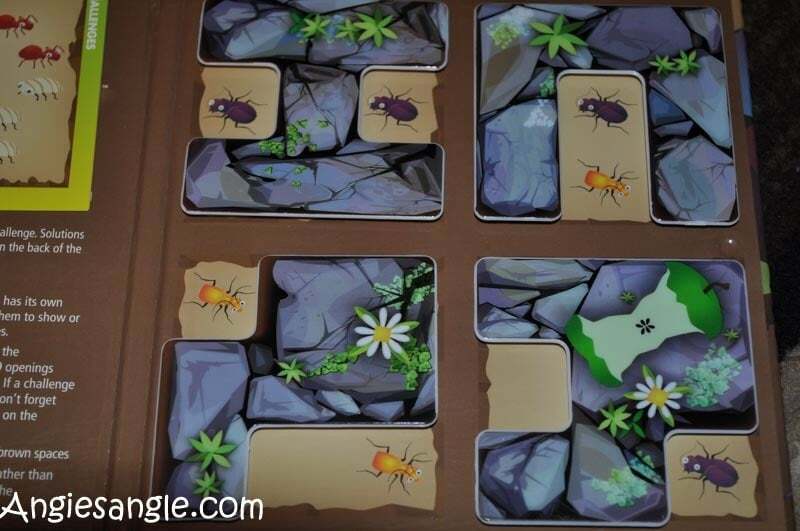 Are you ready to get smart with SmartGames? Do these sound like something you and your family may enjoy?